Exporter of a wide range of products which include designer embroidery belt, embroidered belt, embroidery belt, bridal embroidered belt and bridal designer embroidery belts. 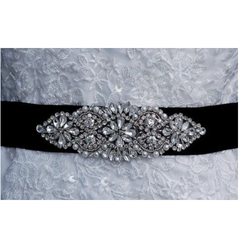 We provide an exclusive variety of hand made bridal Designer embroidery belts. Customization of these beautiful belts can be done on request. Available in the exclusive handcrafted finish, Embroidered Belt offered to come in different lengths and width choices as well as in different color options to pick from. Featuring classic and beautiful finish, these belts feature distinctive and elegant looks and can be offered by us in varied enchanting designs, shades and size options to choose from. Further, the expertise of our designers also allows us to provide in these rich contemporary looks. Further, the use of multicolored threads also helps in adding sparkle to the stylish belt finish provided by us. 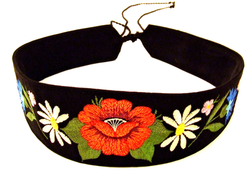 We provide on exclusive variety of hand made Bridal designer embroidery belts. Customization of these beautiful belts can be done on request. We provide an exclusive variety of hand made Bridal designer embroidery belts .Customization of these beautiful belts can be done on request. 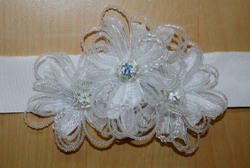 Looking for Bridal Embroidered Belts ?